NHS Grampian has spent nearly £45million paying for patients to be treated outwith the region in the past three years. New figures obtained by the Press and Journal reveal the money was paid to other health boards in Scotland and England and the private sector – and the bill for 2015-16 alone topped £15million. If someone requires treatment in another part of the country their local health board picks up the tab. 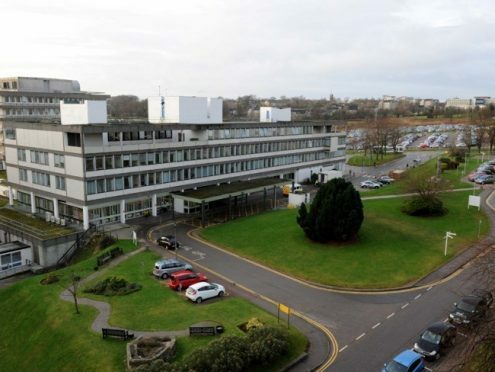 NHS Grampian said it was often forced to refer patients to other regions for a number of reasons, including an emergency situation or for specialist treatment which cannot be provided in the region. But last night, a north-east MSP claimed the figure revealed the extent of the problems faced by the health board. Conservative Ross Thomson said: “This is a hefty bill and clearly a figure that level is more than just people who have an emergency in another part of the country. “It speaks to the problems we’ve got throughout the health service in this country, but particularly in the north-east. In August, Roger Smart and his wife Angela, who suffers from arthritis and fibromyalgia, said they were being forced to travel more than 180 miles for treatment to her knees due to the waiting lists at Aberdeen’s Woodend Hospital. Last night, a spokeswoman for the health board said it had no alternative but to send patients elsewhere. She said: “Patients can be referred to another Scottish health board, English hospital or private hospital for a number of reasons. “Firstly, it may be they require very specialist treatment which is not provided in Grampian – for example a paediatric referral to Great Ormond Street Hospital (in London) or long-term specialist secure care. “Secondly, NHS Grampian would be charged by another health board or trust if they provided treatment for a local resident in an emergency situation.